Silhouette Soft is a recent innovation offering facial wrinkle treatments in a simple and non-invasive manner. You will enjoy the benefits of wrinkle reduction, youthful volume and an altogether younger-looking face with one 30 minute treatment. Widely touted as one of the best wrinkle treatments on the market today, you can enjoy the results you see above for up to 18 months with less stress, pain and cost than a more conventional face lift. Applying Silhouette Soft takes around half an hour in our cosmetic surgery treatment room. After applying a small, local anaesthetic, the doctor inserts the suture under the skin to a depth of about three to five millimeters. No incision is required, as the suture is inserted using a fine needle. It is held in place with absorbable cones oriented in opposite directions. Once the suture has been applied, the doctor performs slightly compresses the tissue to reshape it by hand and to obtain the desired lifting effect. The non-inserted ends of the suture are cut off. One or more sutures may be applied, depending on the patient and treated area. Silhouette Soft can be used as a single treatment or in combination with dermal fillers and botox treatments, as per your preferences. As you can see above, a non surgical face lift can provide fast and excellent results for lifting and rejuvenating your brows, jowls and even mid-face. Fabricated under strict sanitary controls in the United States, Silhouette Soft is a wholly natural component, biocompatible and fully absorbable, which has proven its worth in various medical fields. The natural substance (polylactic acid) has been used for many years in various pharmaceutical and medical applications such as suture threads, orthopaedic pins and screws and nails for bone fractures. Whether or not you combine Silhouette Soft with a facial wrinkle filler, you’re bound to be thrilled with the amazing results you can enjoy with such a quick and painless procedure! The best cosmetic technique to lift and tighten sagging skin tissues. Using bio-absorbable and antimicrobial filament threads. Re-defines facial contours and induce collagen production. Effect lasting up to 18 months to 2 years. The thread will form a permanent support structure for the tissue of the face due to collagen synthesis. 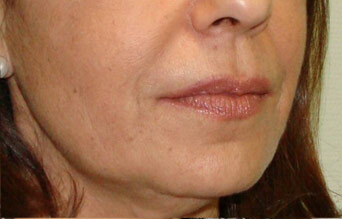 The lifting effect is at its peak 6 months later when the collagen has formed around the threads. This is great for skin tightening and lifting of the face and neck. Reduce roundness of the face, lift sagging skin around the facial area, lift cheeks, jowls, reduce double chins. Neck, eyebrows – eyebrow lift. Skin rejuvenation, enhances skin tone, tightening pores. Local anaesthetic is injected into the treatment area. The PDO thread will then be introduced using a canula or micro-needle in the required area. The procedure takes around 45-60 minutes depending on what treatment you will require. You will be able to fully resume your everyday routine and social commitments within a couple of days. 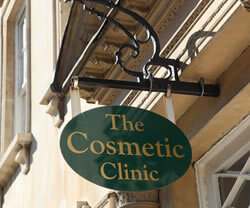 PDO therapy is a tailor made treatment which can be adjusted to your requirements at any time. 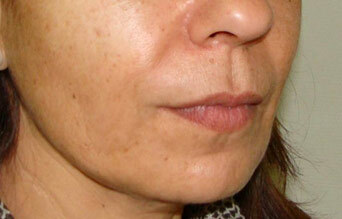 When you combine PDO Therapy with PRP, Fillers and Botox great results can be achieved. The threads are 100% PDO (Polydioxane), a clinically proven biocompatible material that is already widely used in medical suturing. Who is a good candidate for PDO? The best candidate for PDO are men and women who are beginning to experience the appearance of wrinkles on the forehead, sagging of the mid-face and lower face/neck areas. Which areas are most effectively treated by PDO Therapy? For the face, this would be the nasolabial fold, jaw line and double chin zones. For the body, we have seen the most visible results with arms, thighs and abdomen correction. Can PDO be used alongside other aesthetic procedures? The benefits of PDO therapy are best realised when combined with other therapies to deliver the optimal result. This includes PRP (Platelet Rich plasma) therapy, microneedling, fillers, botox injection and fractional laser treatment. Who should perform the PDO Therapy? Only trained professionals who have attended the full PDO trainind course are certified to perform this procedure. PDO is a very safe procedure and complications are extremely rare. Minor complications may include temporary swelling and bruising. Patients may feel slight tightness or a pulling sensation immediately following the treatment but this diminishes over a relatively short period of time.